Do you read reviews when you’re thinking about buying a book? How do you use them to help your decision-making? I never take account of the star ratings, but I used to spend quite a lot of time sifting through the reviews themselves, trying to find ones that I thought were written by a reader with tastes similar to mine, who’d bought the book with their own hard-earned money and reviewed it because they wanted to discuss what worked for them and what didn’t. That’s become almost impossible of late, because reviews are so important that publishers and authors will do whatever they legitimately can to collect as many high-scoring, positive reviews as possible. Searching for the few that might be useful to me has become a needle/haystack exercise, and linking reviews to verified purchases has, if anything, made the problem worse. Now, if I see a book with hundreds or even thousands of five-star reviews, it does not make me think the book is likely to be good. I start with the expectation that the book is very probably the beneficiary of a well-executed and possibly expensive marketing campaign, and that I should disregard most if not all of the enthusiastic endorsement. So I’ve been trying a new tactic lately—if it’s a book I like the sound of, but there are so many unhelpfully positive reviews that I can’t use them to form an opinion, I read the detailed critical reviews instead. Perhaps that sounds odd, but it’s been working quite well, for three reasons. Firstly, three star (or lower) reviews are much less likely to have been written by anyone associated with the book’s marketing campaign. Secondly, critical reviews, especially three and two-star ones, are often quite balanced and will point out the book’s strengths as well as its weaknesses. And thirdly, one person’s negative is another person’s positive. A classic example would be my husband, who enjoys books and TV shows with lots of plot, action and puzzle-solving. He has a zero-tolerance attitude toward stories that are built around lots of character development or what he once called ‘yucky emotional crap.’ Chances are, his YEC-driven one-star would be a five for me, and vice-versa. Last week I wrote about a story I really enjoyed: Katherine Addison’s The Goblin Emperor. I bought the book because it was recommended by a number of regulars at Jenny Crusie’s blog. I did read a few sample pages, but I didn’t check out the critical reviews. For the purposes of this post I looked them up now, to see how well they tallied with my comments. At the time of writing, from a total of 491 Amazon reviews, there were 82 “critical” ones. An interesting story about what it’s like to be thrown into a position of great responsibility without preparation. Not too much action, but the characters are likeable. You really want the kid to succeed. [Maia, the protagonist] is well drawn as a very kind hearted character. He is a person who is rather ahead of his time, and very sympathetic in his situation. He is simply a character that is easy to root for, and is many times, put in painful situations that are worth reading about. Names and kinship conventions were confusing and hard to remember. I found all those observations to be true, but none of them were a problem for me except for the names, which were annoying but wouldn’t have stopped me buying the book. I’m ridiculously pleased with my new plan, which seems to be working beautifully. I do wonder how many more readers use the reviews in this way, and whether it’s a good thing (or not) for an author to have a sprinkling of more measured appraisals supporting their five-star ratings. What do you think? If reviews are part of your buying decision, how do you use them? This entry was posted in Critique, Favorite Books, reading recommendations, Resources and tagged book reviews, critical book reviews, critical book reviews are helpful, decoding book reviews, eight ladies writing, good books, Jenny Crusie, Jilly Wood, romance writing. Bookmark the permalink. I do the same thing. I pretty much skim the “oh, my gosh I loved it” reviews and focus on the 3’s and 2s. I find they often give a more balanced picture of a story than the 4s and 5s. I also read a few sample pages, whenever that option available, to get a glimpse of the writer’s style. There have been a few occasions where the set-up for the book sounded great, but the writer’s style / grammar / etc. were a real turn off. I have the best success, however, with books that friends I know, who know my reading preferences, have read and enjoyed. Snap, Elizabeth! I never used to read the sample pages, but these days I always do. It’s handy that Amazon provides a filter to “see all critical reviews.” That suggests that a significant number of readers must be seeking out the two-and-three stars as part of their buying process, which in turn made me wonder if at least a sprinkling of thoughtful three-stars might be a good thing for the author. Like you, I focus on the lesser-starred reviews because I find them more balanced and useful. Wonder how long it will take the marketing machine to figure that out and assign 3 stars to stellar reviews? My reading time has become so narrowly constrained that I tend to only pay attention to recommendations from friends or people I know well on the internet (Jenny’s Book Thursday or recs from the Lois McMaster Bujold mailing list). 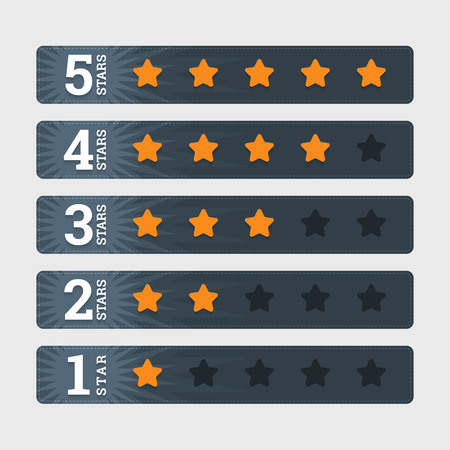 Reviews add a little bit of a dimension, and yes, I tend to go to the 3 or 4 stars one — a sample or two from the one and five star ratings. I should read sample pages, but I never do. I guess I trust my friends’ tastes. I’m working on books I bought/borrowed more than a year ago, so it’s hard to remember the selection process! The spanner in the work is that I got three big bags of books a few weeks ago, and so many of those titles (classics!) and covers look deliciously tempting. It’s going to be a while before I get around to buying more books, I think. The smart marketers are going to flood all the star-levels. Maybe they’ll even hire reasonable people to write reasonable reviews . . . wouldn’t that be something? We’re in trouble when they teach a ‘bot how to write reviews that sound almost human.